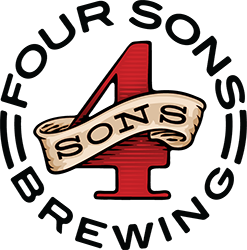 This Thursday for our Free In-Store Beer Tasting, we will be serving up delicious brews from 4 Sons Brewing out of California! Friday Tasting with Grain & Barrel Spirits! This Friday afternoon, we will have Adam Zinzer, Grain & Barrel Spirits Tennessee Market manager, in the store to let you taste their delicious Dixie Vodka! Stop in between 4 & 7p and give them a try! Friday Tasting: Codigo 1530 Tequila! This Friday, we will taste a delicious line of Tequilas with the folks from Codigo 1530. We will be sampling several of their Tequilas including our Red Dog George Strait Private Reserve Reposado. This Tequila is a limited edition bottling from barrels hand selected by George Strait. It is delicious on the rocks or neat and is great for mixing cocktails as well! Come on in this Friday from 4-7pm and give these delicious Tequilas a try! Lana has picked some delicious wines for you to taste this Saturday! This delightful Arneis features a heady perfume of sage and flowers, with a luscious texture balanced by crisp acidity and mineral notes. 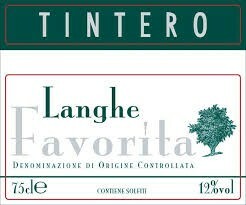 Like all Tintero wines, it is easy on the palate and the wallet - a Piedmontese classic at a bargain price. 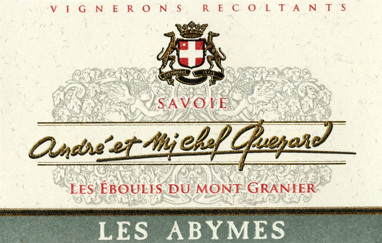 Andre and Michel Quenard "les Abymes"
Made exclusively from grapes selected from old vines of low production. This wine shows the quality of the Bobal grape, native of Utiel-Requena. 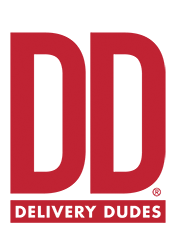 It is intense red with light earthy hues. It has deep and complex aromas with forest fruit, tones of toffee and vanilla. On the palate it is fresh, deep bodied with smooth tannins and very long.